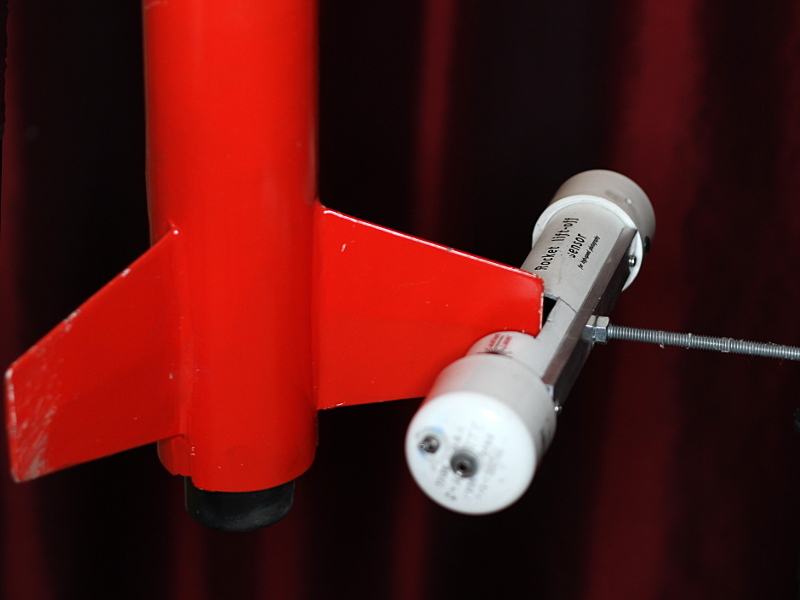 The purpose of the lift-off sensor is to detect the exact moment the rocket starts to move up the rail or rod. The sensor has to be precise, safe, and reusable. I went through about 10 different designs: I considered monitoring the launch mass, UV emissions, and light reflection as well as using break-away wire before finally settling on a light sensor with a laser. 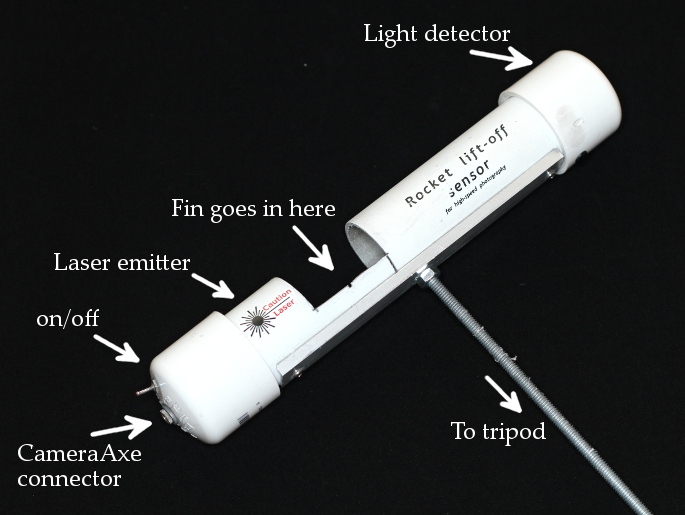 My lift-off sensor is built from a 38 mm body tube with a 2.5 mW laser mounted on one end and a photodiode on the other. The tube has a 2″ opening cut in the middle, while a 1/4″ rod mounts the sensor on a tripod. 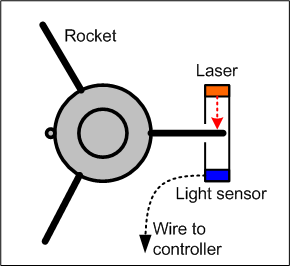 On the launch pad, the sensor is positioned next to the rocket’s fin, with a laser emitter on one side of the fin and a light detector (photodiode) on the other. While the rocket is sitting on the launch pad, its fin is blocking the light path from the laser to the light detector. Upon lift-off, the fin moves away and opens the light path, which signals to the controller to trigger the camera.